A true classic never goes out of style. 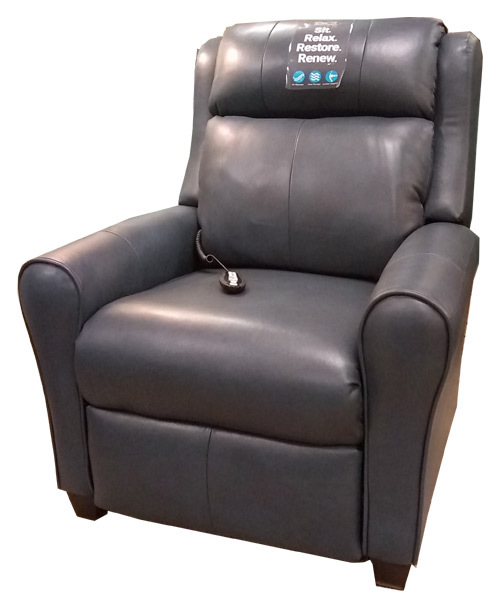 The Cool Springs recliner certainly has the making of a new classic recliner design. Tear-drop shaped upholstered arms are topped with gently sculpted wings flanking a pleated bustle back. A true classic never goes out of style. The Cool Springs recliner certainly has the making of a new classic recliner design. Tear-drop shaped upholstered arms are topped with gently sculpted wings flanking a pleated bustle back. Tobacco stained taper block feet add to the updated transitional feel of the recliner.